• 3, 4, & 5kVA portable tool step-down (110v output) transformers, with overload protection. • 3 kW step-up transformers for use where 240v is required but only 110v is available. Note that these transformers require a 32amp 110v feed for correct operation. 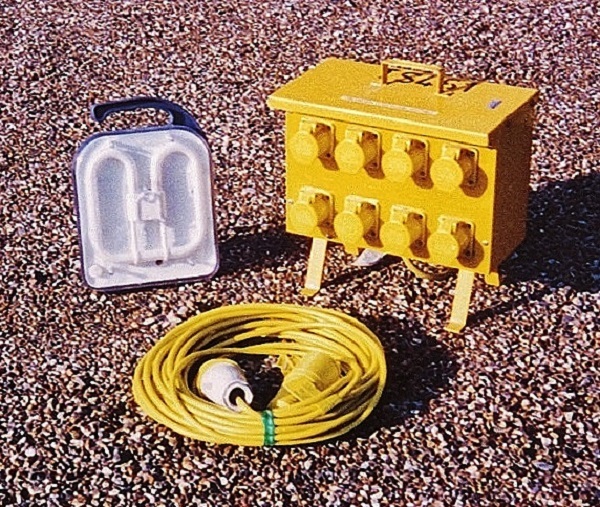 • 110v power distribution boxes, 4-way and 8-way, fitted with 32amp 110v plug.